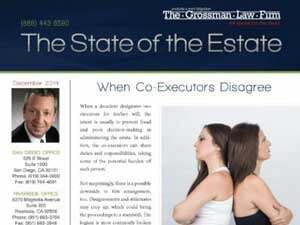 Temecula trust and probate litigation attorney Scott Grossman explains what ancillary probate is, and when it is required. When a person dies in one state but owned property in another, ancillary probate is required. For example, let’s say your mom owned a house in Temecula, California. She retired to Dallas and kept the Temecula house as a rental. When she died, she was living in Dallas and probate was opened up in the state of Texas. The California house cannot go through probate in Texas because every state in the union has different rules for probate. Therefore, an ANCILLARY PROBATE must be opened up in California for the Temecula house. The flipside is true as well. If your mom lived in Texas but ended up retiring to Palm Springs, California, and kept her house in Dallas, after her death, probate would be opened in California (because probate must be opened where the person was living at the time of their death.) An ancillary probate, however, would have to be opened in Texas to deal with her Texas property. It is important to note that ancillary probate only applies to real estate. Other types of property, such as bank accounts or brokerage accounts, do NOT require ancillary probate. 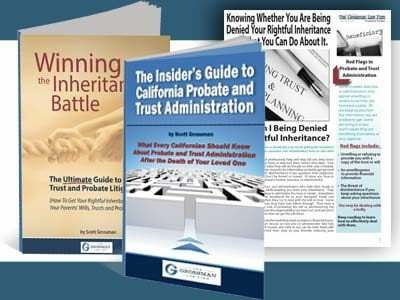 The bottom line is that if your loved one lived in another state but died leaving property in Temecula or another city here in the state of California, ancillary probate will be required in order to get clear title to the property so it can pass on to its intended, rightful beneficiary. 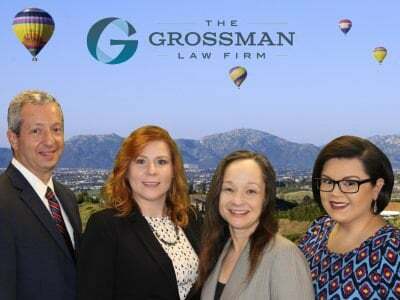 For a free 30-minute phone consultation or to order a complimentary copy of any of Scott Grossman’s books, call (951)523-8307 or visit http://www.GrossmanLaw.net.